September 13, 2012. 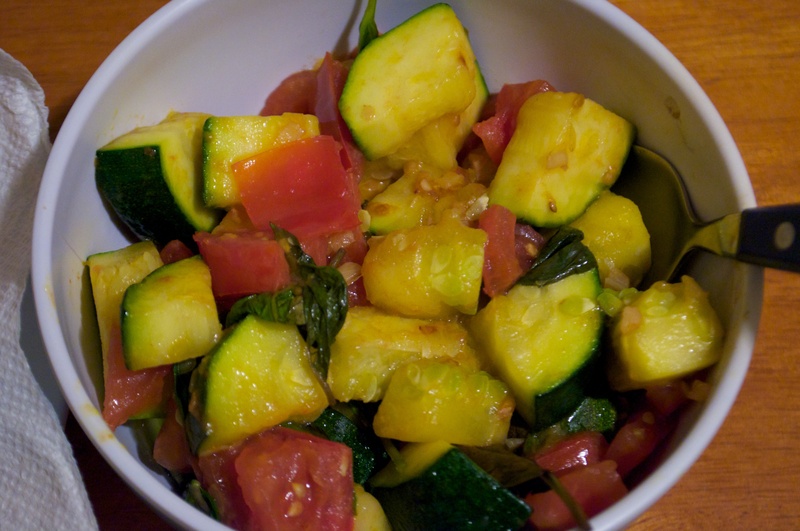 Zucchini and tomato sauteed with basil. A new, delicious favorite of ours in the summer and dog days.